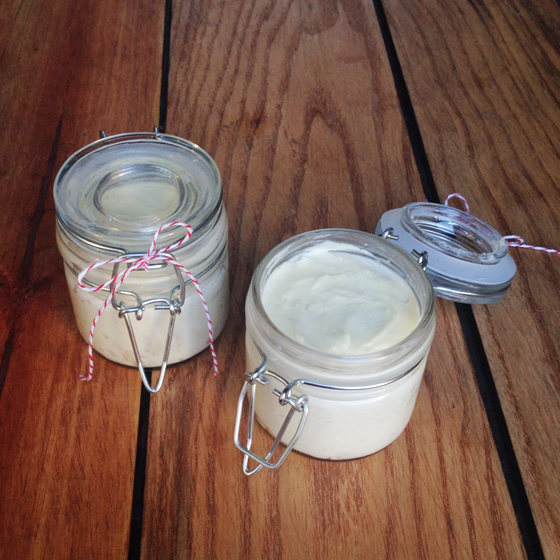 A few months ago, I decided that I wanted to make homemade, all-natural body lotion and package it in cute little jars to give as holiday gifts. Easy enough, right? Fast forward two months: five mediocre lotion recipes later, I finally figured out the secret to making DIY body lotion. IT’S WHIPPING, DUMMY (I say this to myself, not to you)! Just like you (or someone…on a dairy farm…) whip cream into butter, you can whip the ingredients for a nourishing body lotion into a thick, creamy body butter. I find the texture much more luxurious and enjoyable than just melting ingredients into a body cream/lotion. I’ve finally landed on a recipe that is perfect for gift-giving, and fun to make. All you need are a few common ingredients and biceps made of steel! 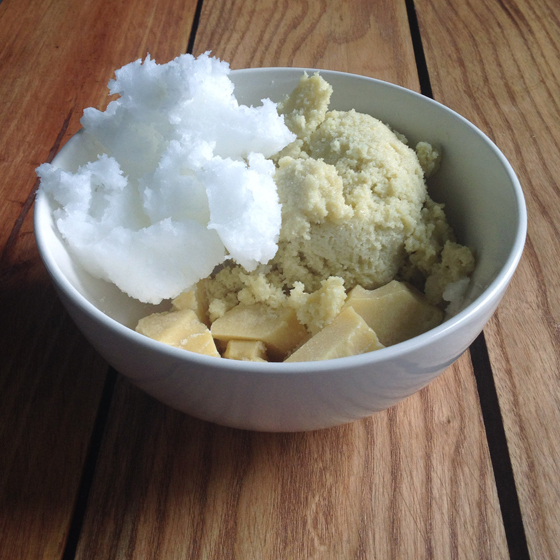 This recipe is adapted from One Good Thing By Jillee. Thanks for the inspiration, miss! Combine your solids: shea butter, cocoa butter and coconut oil in a ceramic bowl (or other container that you can put directly on a burner). Heat on a stovetop over very low heat until everything has melted in to a liquid. 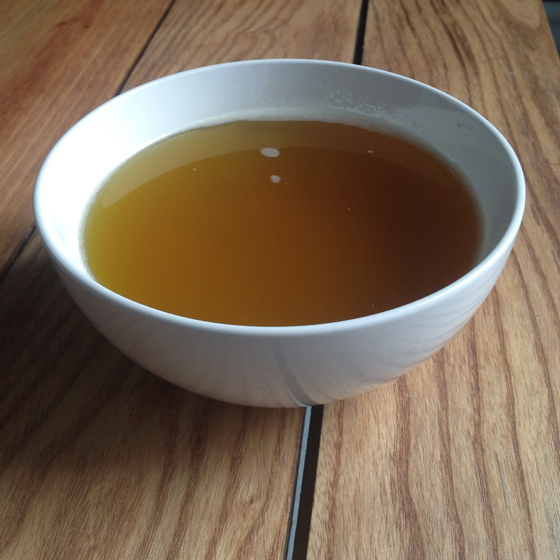 Remove from heat and stir in your liquid oils (almond and/or jojoba oil, and essential oil for scent – I used lavender). Now, find a way to entertain yourself for the next 20 minutes or so (’tis the season…glass of eggnog? Quick screening of Elf? ): pop your liquefied body butter into the freezer or place outside if you live in a cold climate, and wait until it just begins to solidify. Your mixture should be malleable and soft. Then WHIP IT. WHIP IT GOOD. Seriously, beat the living crap out of it with a sturdy whisk, or use a mixer. 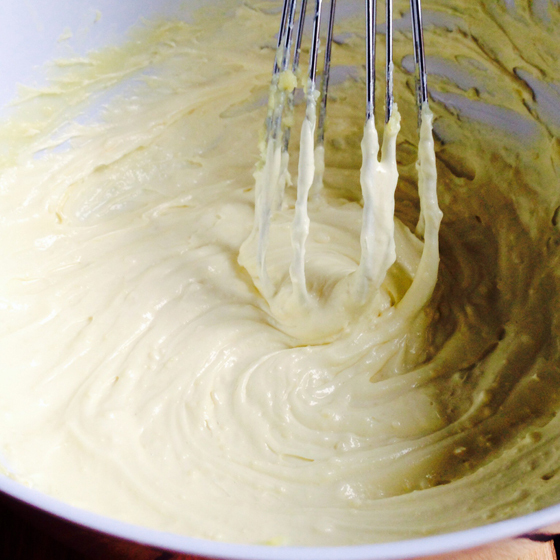 With some elbow grease, your mixture will transform into a fluffy body butter akin to the texture of thick frosting (but I don’t recommend eating it…!). 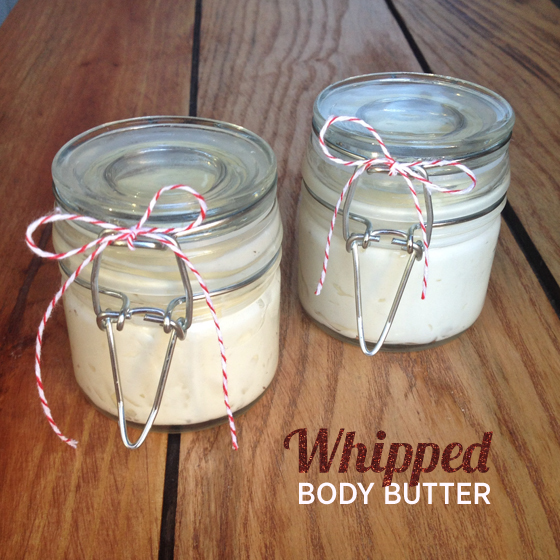 Transfer your whipped concoction into jars to give as gifts…or hoard it and slather it all over you body. This body butter melts into a moisturizing body oil when you press it to your skin. It may feel slightly greasy at first, but it absorbs quickly and provides super-nourishing moisture from the all-natural butters and oils. I recommend applying it after a shower, or keeping a jar at your desk at work to keep dry winter hands moisturized. It’s great on elbows and knees, and I also use it on chapped lips. Let us know if you give this recipe a whirl. 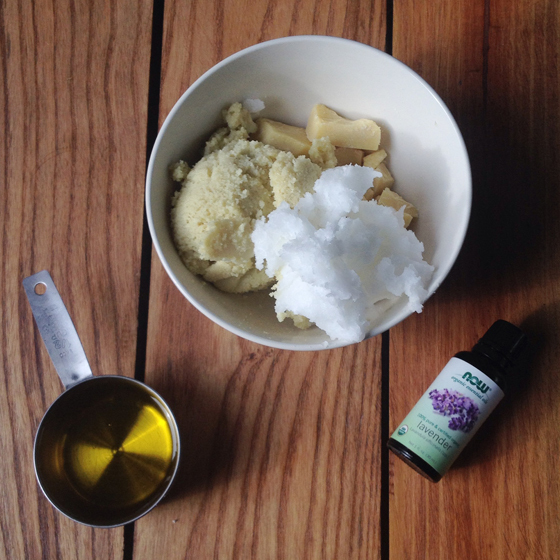 Have you ever made your own lotion or body butter at home? What’s your go-to recipe?